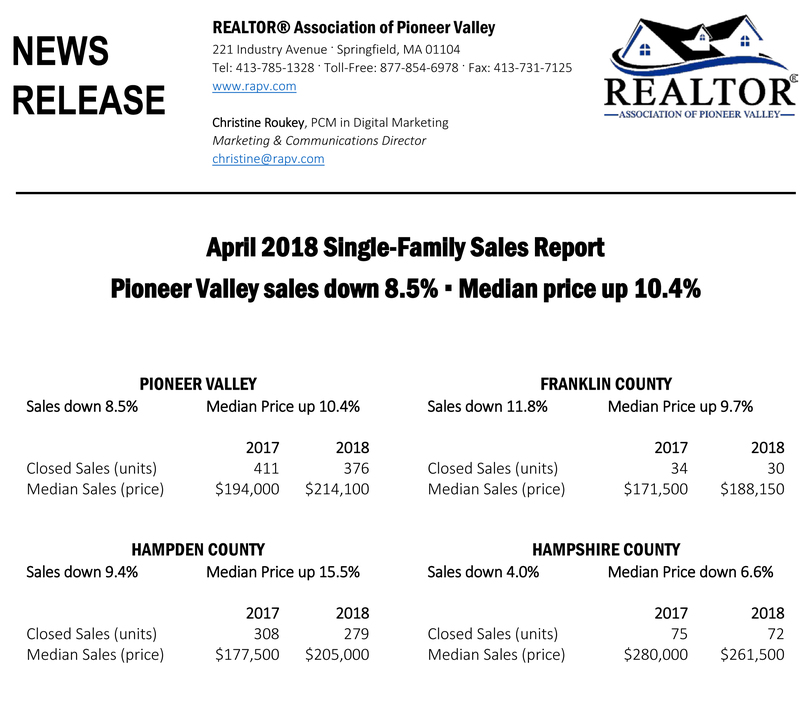 Franklin County sales were down 11.8% and the median price went up by 9.7% in April, 2018 compared to April, 2017. 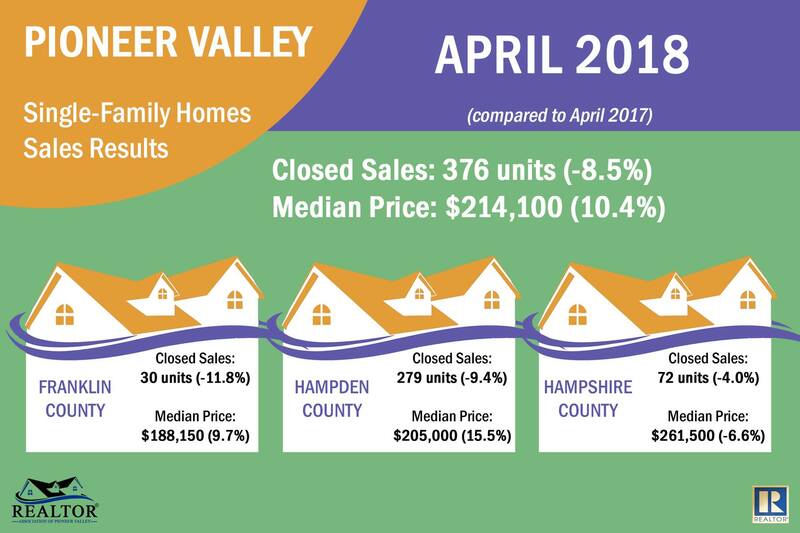 The sales were also down and median price up in both Hampshire and Hampden County. 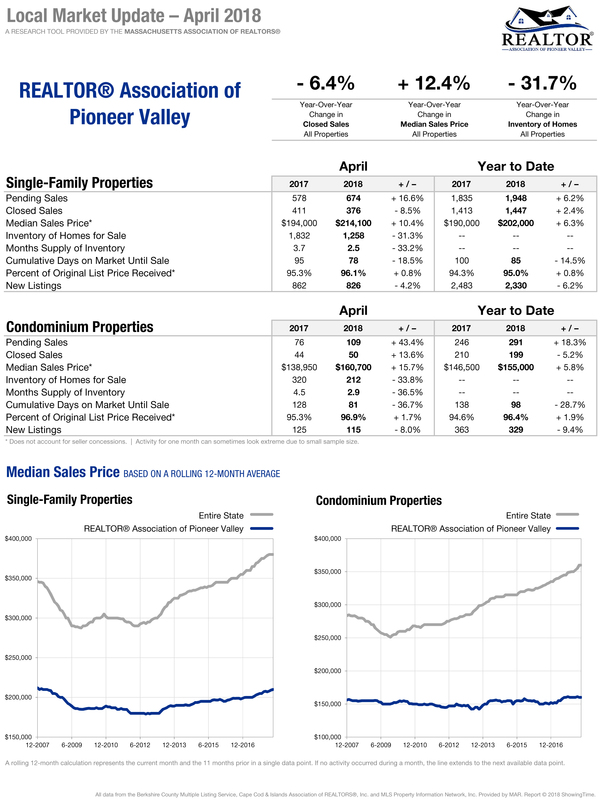 Inventory of single family homes fell in Pioneer Valley 31.3 percent from 1,832 single family listings at the end of April 2017, to 1,258 single family listings at the end of April 2018. 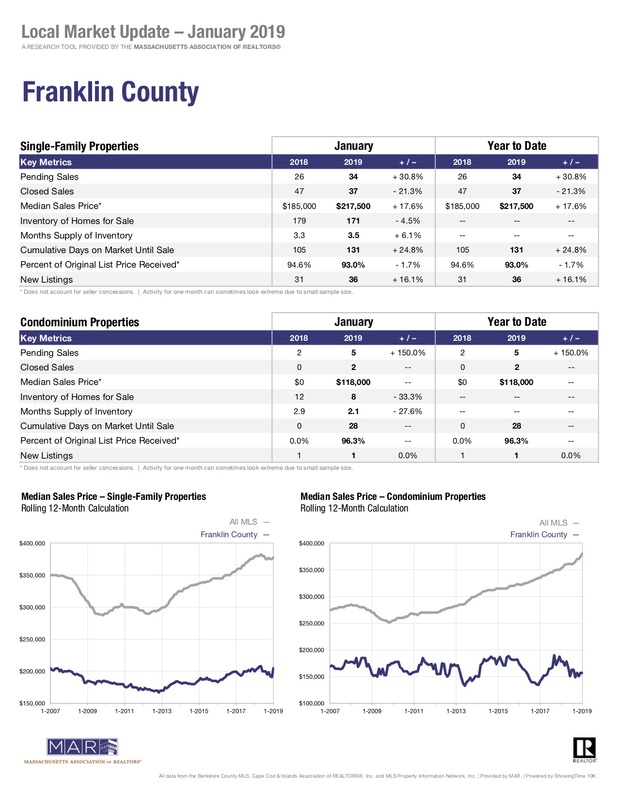 The average days on market dropped 18.5% from 95 days in April 2017 to 78 days in April 2018. 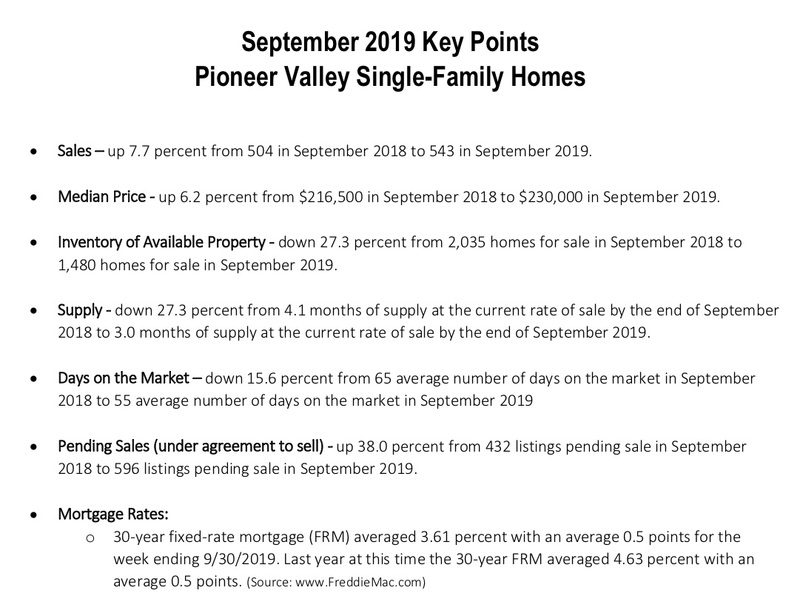 Listings which are pending (under agreement to sell) are up 16.6 percent from 578 in April 2017 to 674 in April 2018.